Hamptons used to pull for Patent Shaft mainly E R Fs, siill going? ?, sorry no pics. I remember R Hamptons Harry,maroon ERFs IIRC.I've loaded out of there a couple of times in the 60s for Whessoe at Darlington.Patent Shaft all gone so I suppose Hamptons will have "pulled t'pin". also loaded from there Chris many times, they also had a ramp on The Shafts land which we used to piggy back motors home when nowt doin, i don't think that Hamptons did for anybody else, hence the saying, too many eggs in one basket. I don't know about Hamptons but like you say I have'nt seen them for a long time. Chris your right in saying Patent Shaft all gone, I took diggers on there 12 months ago for the building of a factory on the last bit of land where it used to be. Here's some of Richard Fords. Does anyone know if Ware Transport, and Ware Parcel Services are still in business. Ware's are still in business, still based at the same place, I used to know most of there drivers in the 80's, there are alot of photo's of Ware's on Ash's 80's thread. used to go to a transport company in balsall common,but i forgot the name ! !,anybody remember ? 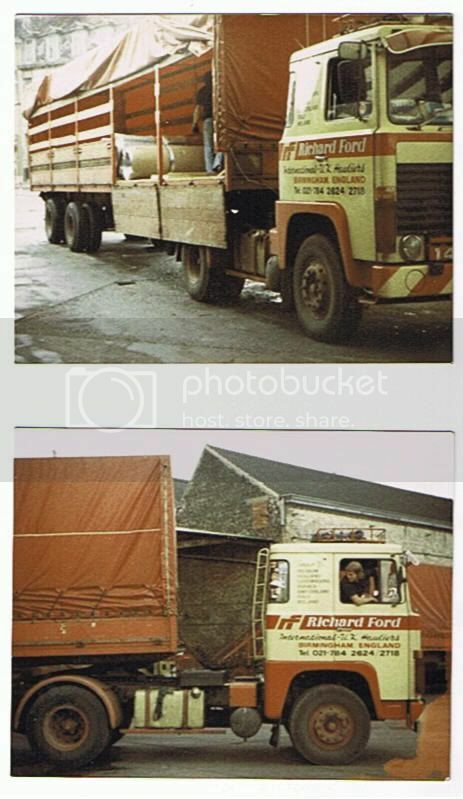 Balsall Common firm was probably Caples Transport, long gone, Richard Ford had a small depot there too in the 70's in the old Satchwell Parcels place. wasnt it one firm with two names,capels and another name ? Thanks Dieseldog6,I worked for Ware Transport at their Stanwell / Heathrow depot in 1984. They were a good company to work for, our work was mainly airfreight and groupage.We used to load wagon & drags, and tilts to France,curtainsiders and rollerbed box vans between Heathrow,Gatwick and Birmingham. As well as our own trailers going over the water, we used to send at least one a day with Beauvious Transit. my visa sorted in the U.K.it seems a long time ago. I have been working in transport here in the States for 15 yrs now, and it is crap, they dont have a clue. It would take someone like Glyn Davies [Russel/Hanbury Davies] to show them how to move freight. In the early 80's, 81/82 we used to do alot of airfreight from there or Jardines, friday night over to Brusells, then up to Antwerp for the weekend, great times. Curnock......... it was always Caples Transport as far as I can remember, but having said that they may have linked up with someone towards the end, to try and salvage it. as I only live down the road I will endevor to find out. stvme2519....Here is a couple more for your post. curnock.......... Caples were Dark blue cab, with Red wings and chassie, don't ever remember them being Grey!! 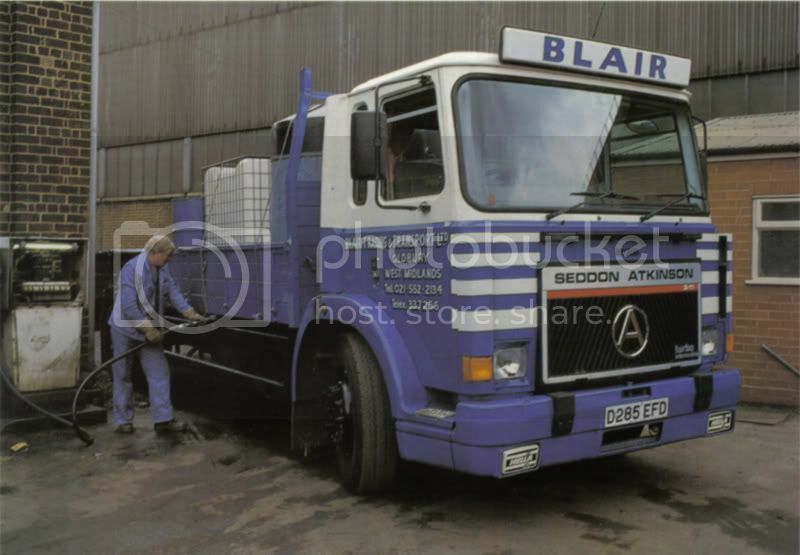 !, I'm sure theres a pic of one of there transcons on the Coventry thread I started. I bought a D series, grey with blue wings, 16 ton flat from a Birmingham firm, who ran a fleet of them, called Callows. Could that be who you are thinking of Curnock? oh gosh i'm gettin in a tizz now !!!!!!!! 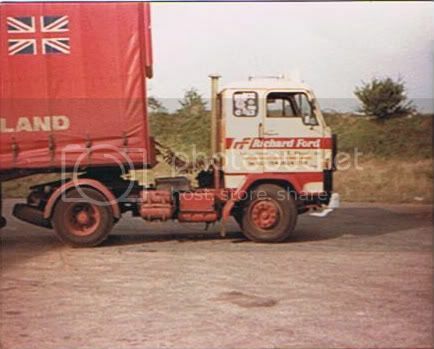 anybody remember OVERLAND CONTRACTS acocks green, they did all the fork trucks from b,ham area yale clarks and cov climax , also had a guy in london area on contract to WILLIAM PRESS , he had a mandator with low loader this is around 67 ,68. I can remember them in the 70's when I think they had Sed Atk's, sort of a burnt orange colour. arthur turnbulls are now in bentons transport yard at coleshill. IIRC Bentons moved there from shirley when there was a split with steve benton transport -whos now at bannerley road, garretts green. is arther tunbulls the same as brewer & tunbulls ? no, arthur turnbulls are a general haulier, mainly curtainside/flats, not Brewer and Turnbull doing removals .IIRC the Arthur Turnbull flleet is down to about 4 or 5 motors. 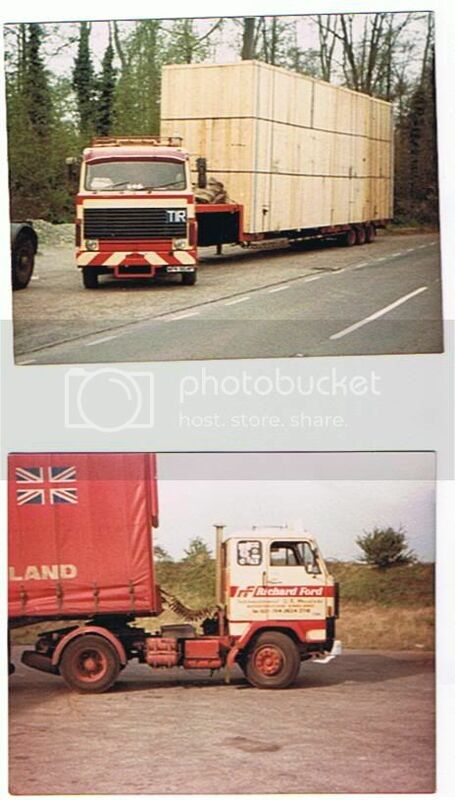 edtheshark wrote: no, arthur turnbulls are a general haulier, mainly curtainside/flats, not Brewer and Turnbull doing removals .IIRC the Arthur Turnbull flleet is down to about 4 or 5 motors. Ed,were Turnbulls at Erdington in the 80s,running Scania 4-wheelers on a North-East trunk? I seem to remember them when I was on nights. curnock wrote: used to go to a transport company in balsall common,but i forgot the name ! !,anybody remember ? Curnock.........if you go to Scrapbook Memories there's a Caples Leyland loading a Seatrain container, in Bubbs latest offerings. Last edited by Andydisco on Sun Oct 04, 2009 3:37 pm, edited 1 time in total.